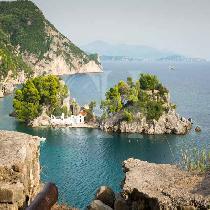 You pass oposite to the greek mainland and visit the picturesque village Parga. Enjoy your visit to see the nice village and to have the possibility for lunch (not inclusive) or to swimm on the bay close by. After your stay there, you will pass to the island of Paxos. You will have approx. 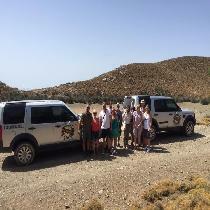 1 ½ hour to see the small capital Gaios or to discover for yourselves the beautiful bays . Finally from Paxos you return to Corfu. You depart from the port of Corfu and you enjoy the south coast the trip to the next island Paxos and Antipaxos. If the weather allows the boat will enter through the breath taking sea caves by Antipaxos. Join a trip to the mysterious and adventurous country of Albania. The trip starts at the port of Corfu. After a simple passport control, this little cruise leads us through the narrow pass between Corfu and the mainland to the biggest port in the south of Albania ""Agioi Saranda"". 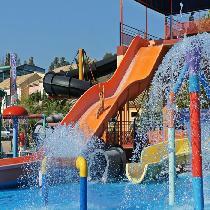 Aqualand is one of the most amazing water adventure parks in Europe. 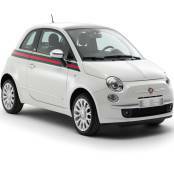 His location is perfectly fitted in the middle of Corfu island, on the main road to Glyfada and it’s easy to reach where ever you are. It is stretched in 70.000 square meters and offers a wide parking area of 12.000 square meters, giving opportunity of more than 600 free parking lots to it's visitors. Explore more in the Northern part of Corfu! 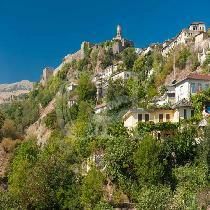 Discover traditional villages, visiting its chapels in central Corfu, and the Agioi Deka Pantokratoras. Enjoy the best panoramic view of the island from east to west side and learn everything about the local history and lifestyle.